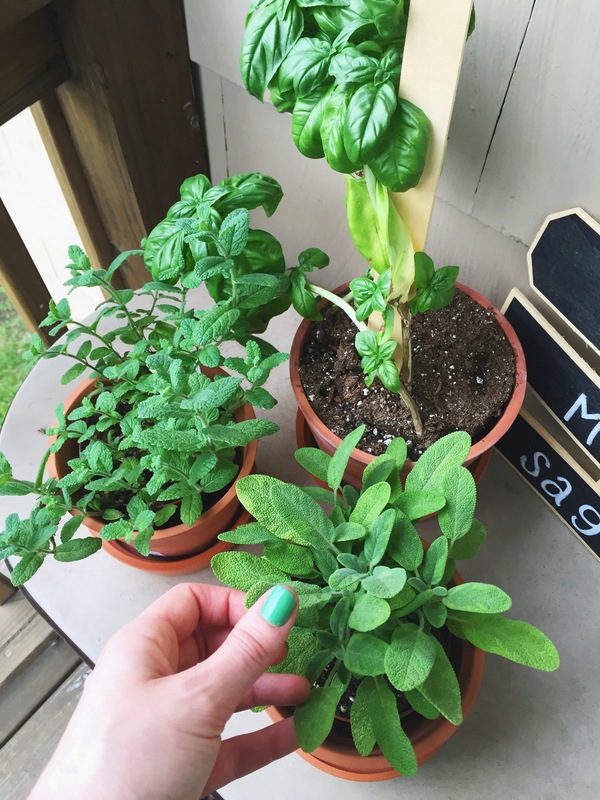 Despite my literal green thumb (courtesy of Essie Mojito Madness), I am notorious for killing every plant I come into contact with. That’s why the fact that these little buddies are still kicking is an immense personal triumph. Thankfully, my boyfriend is more thoughtful and attentive than I am–he’s their main source of water. The weather was super gloomy in the Boston area today, so comfort food and comfort music are absolute essentials. For dinner, I’m preparing a braised lentil dish, adapted from an incredible recipe that can be found here: Braised Lentils & Vegetables. It’s simmering away on the stovetop right now, and the whole house smells like soup, which is basically happiness manifest. I also picked up a bottle of vinho verde at Trader Joe’s, and, as an aspiring Portuguese person, I’m in bubbly heaven right now. 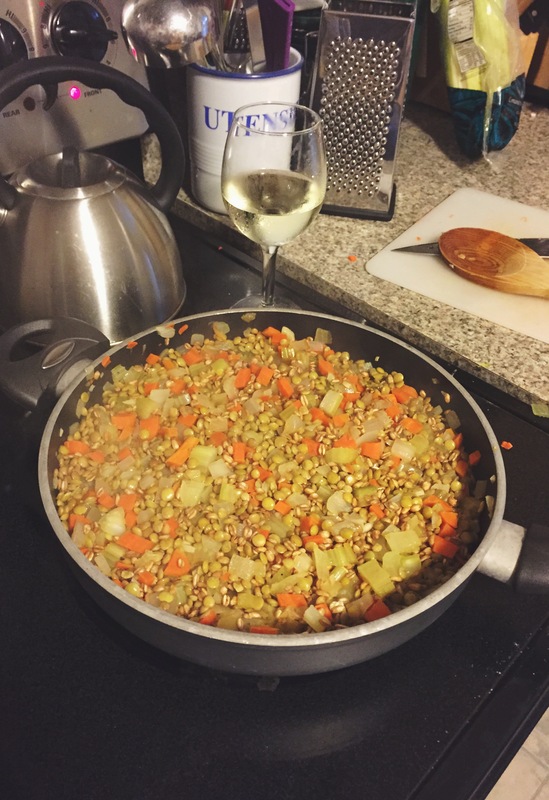 Lentils, carrots, celery, and onions soaking up some Pinot Grigio. Much like the smell of soup can evoke feelings of warmth and contentment, there are certain pieces of music that can feel like wrapping a soft blanket around yourself. Lately, I have not been able to get Sufjan Stevens’ “Eugene,” from his most recent album, Carrie and Lowell, out of my head. It is 2 minutes and 24 seconds of pure sweetness. Despite the heavy Christian imagery and influence in much of Sufjan’s music, his genius art has resonated with me deeply for the past ten years. The new album is so spare and haunting, yet imbued with so much hope and positivity. It is so vulnerable and human that it almost takes on its own life. “Eugene” finds Sufjan reminiscing about his childhood upon the death of his stepfather. Despite the gravity of the subject and the yearning refrain, “I just wanna be near you,” the song is strangely uplifting. Or maybe Sufjan is just tricking us with major chords. Who knows? In any case, it’s worth listening to “Eugene.” And then buying Carrie and Lowell. And everything else he’s ever released. Hey, Asthmatic Kitty, can you hire me for PR?